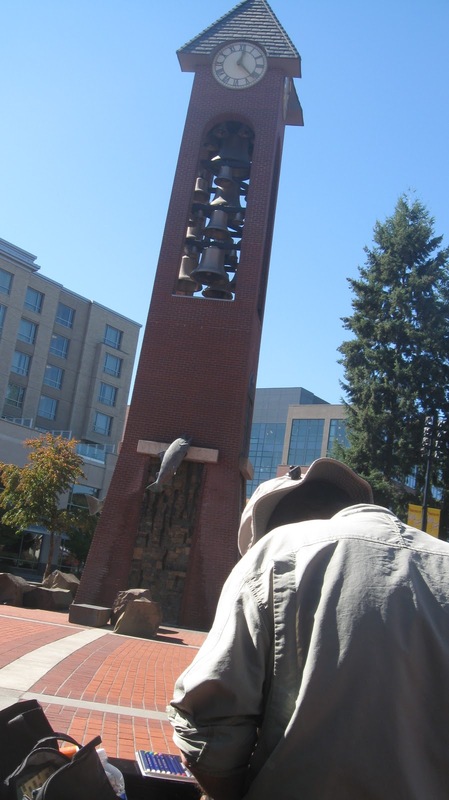 We met in Esther Short Park in Vancouver, WA, to show some love to our northern neighbor. It turned in to a gorgeous day! 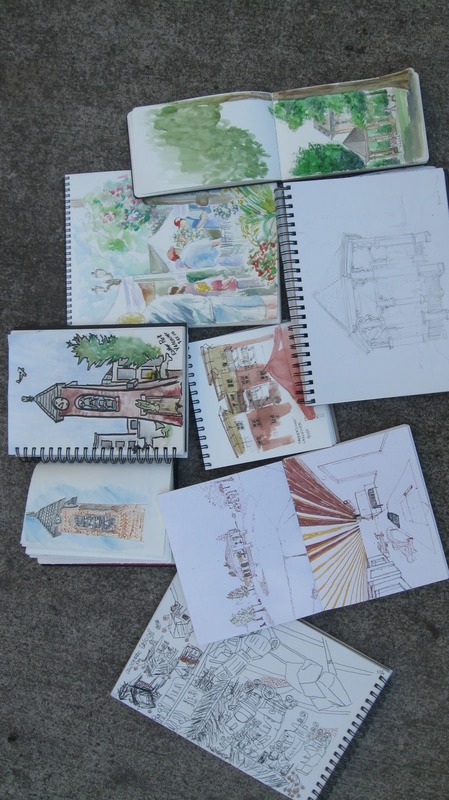 Colin (above), Tony, Jennifer, Abby, Anne, Deb, Janene and I turned out to sketch. 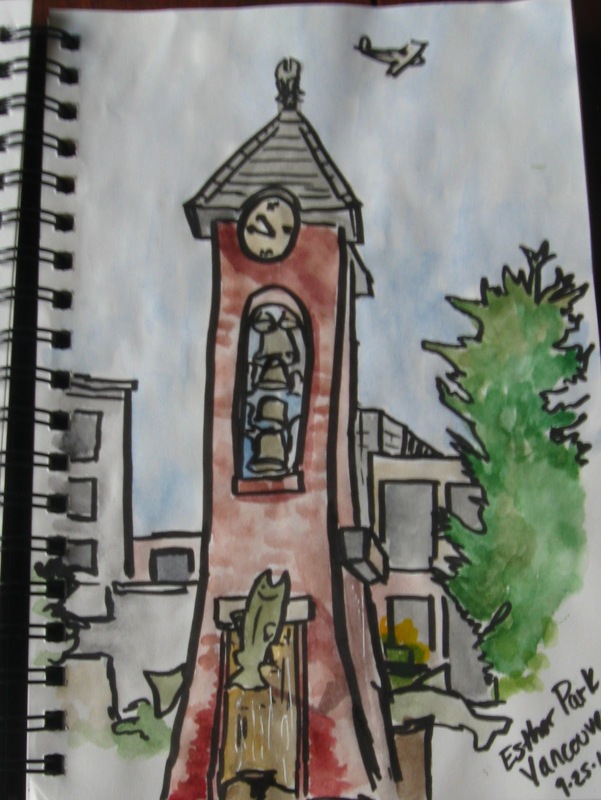 my sketch of the clock tower. 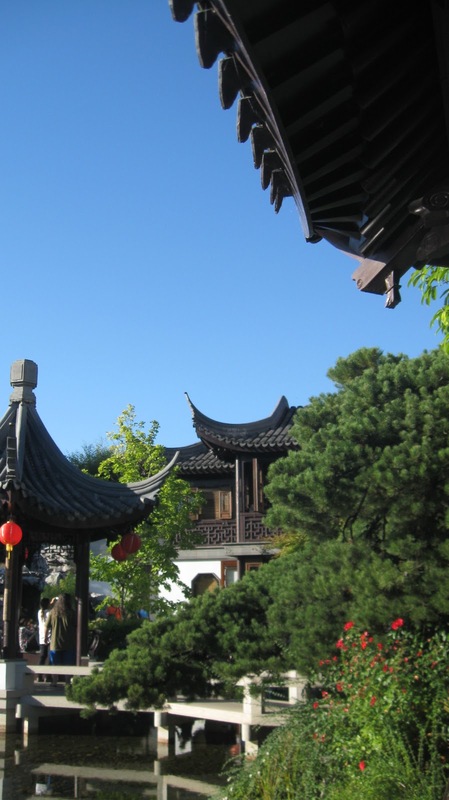 I headed over to Lan Su Chinese Garden (free admission day!) 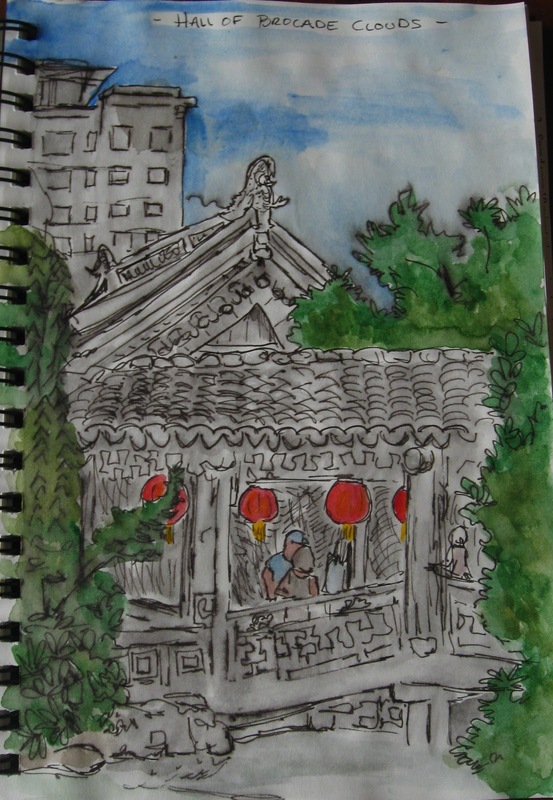 to continue sketching on the beautiful day. the bridge, Hall of the Brocade Clouds and buildings behind. 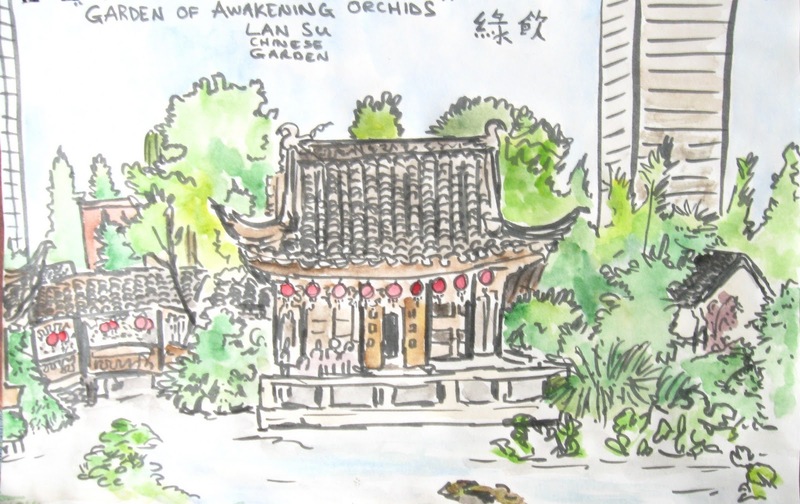 Lan Su can be translated as Awakening Orchids. 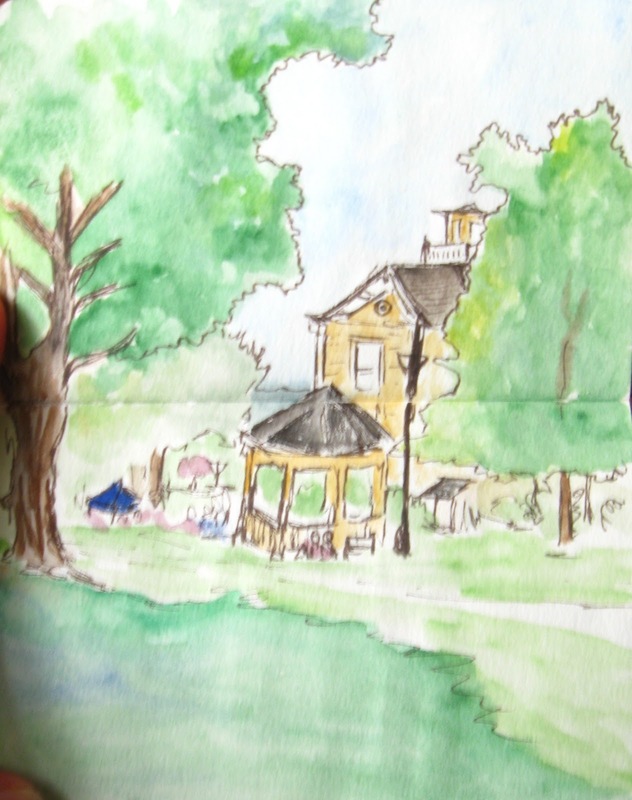 It is a wonderful place to sit and sketch on a gorgeous day. 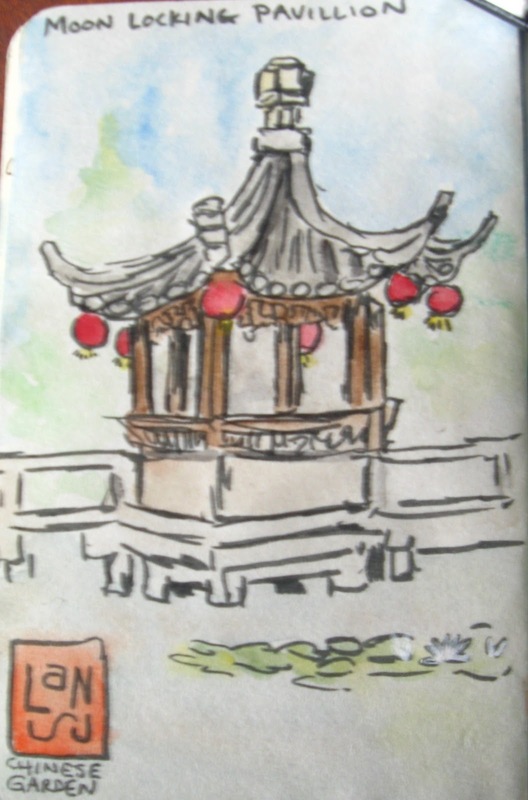 this was actually my first sketch in the garden. I've always loved to draw. In highschool, I'd draw my teachers in the margins of my notes. I took one art class in college which turned me on to watercolors and charcoal. 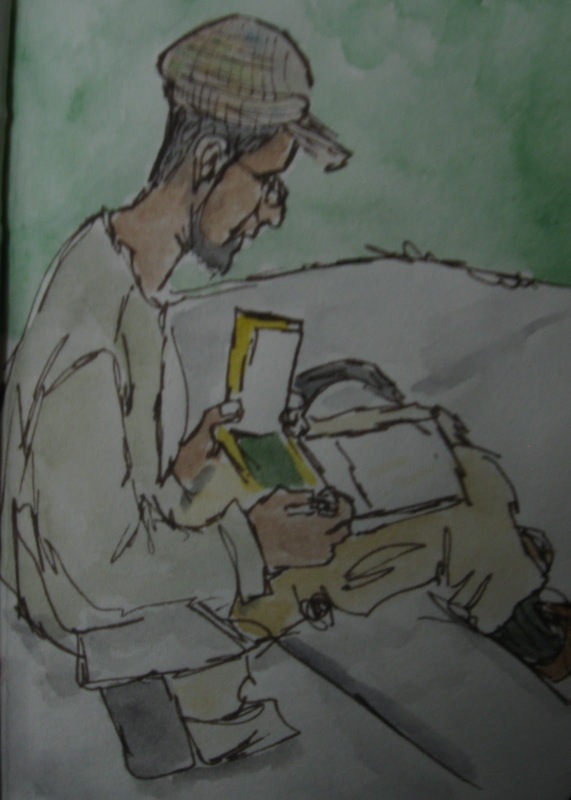 I drew a bit after college, while in the Peace Corps, but I took a bit of a hiatus for a few years. 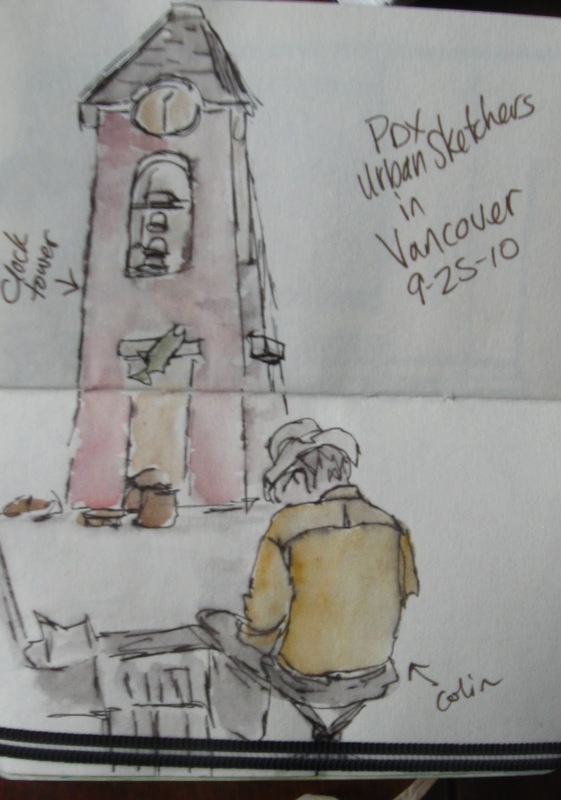 I rediscovered my love of drawing, and like to capture the everyday happenings of my life, or to go out on location.